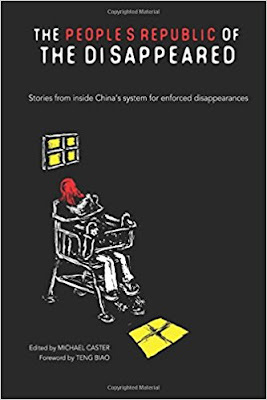 A new book has been published in English and Chinese that offers more insight into what it's like to "be disappeared" by the Chinese authorities. Called The People's Republic of the Disappeared, the book is compiled by Safeguard Defenders, a group founded in August to protect those in Asia who fight for human rights, women's rights and civil society. In it are 12 accounts from people who have experienced first hand what it's like to be disappeared into what were previously nicknamed "black jails", or "secret detention centres" where the rule of law does not apply. This was allowed to happen after Article 73 of China's Criminal Procedure Law was amended in 2012 so that authorities could detain people for reasons of "state security" or "terrorism". Detainees can be held as long as six months in "designated locations", or secret prisons. 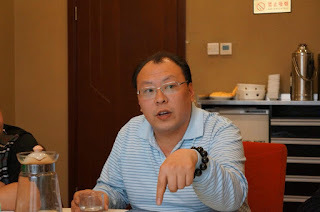 Anyone who is considered to be critical of the government or a political threat to the leadership is rounded up -- from lawyers, dissidents and activists to Tibetans and Uyghurs. 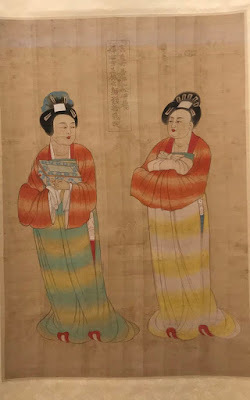 Of the 12 accounts, some are anonymous, others attributed to people who live outside of China, or some brave souls within the country willing to stick their necks out. They only represent a tiny sliver of the thousands of people who are are subjected to this kind of treatment daily. The first-hand accounts talk about being forced to sit on a chair and not move for hours on end staring at the wall in front of them, being forced to do military salutes to their captors as a sign of submission, being deprived of sleep for days on end, and being in solitary confinement. One defense lawyer, Tang Jitian, writes that despite the cruel physical and mental treatment he suffered in 2011, his captors were unable to break his spirit. "Their purpose was to break my determination, to make me accept their power. They sometimes used this kind of military training on detainees they don't like. The armed police in China have strong bodies, but very simple minds," Tang writes. 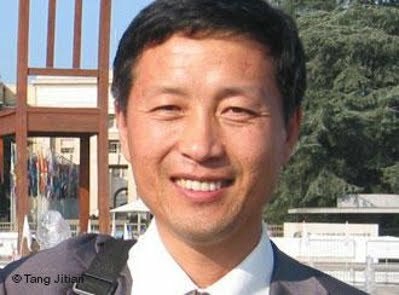 Tang Zhishun, an engineer turned activist, was also disappeared for more than a year in detention. He reflects back on his experience with a hint of optimism. "The policemen would say they held no personal grudge against me, but they acted with such cruelty, tortured me the way they did, as if knowing that it was not personal would somehow change anything. I believe justice comes for everyone one day, and those who have done wrong will get the punishment they deserve."